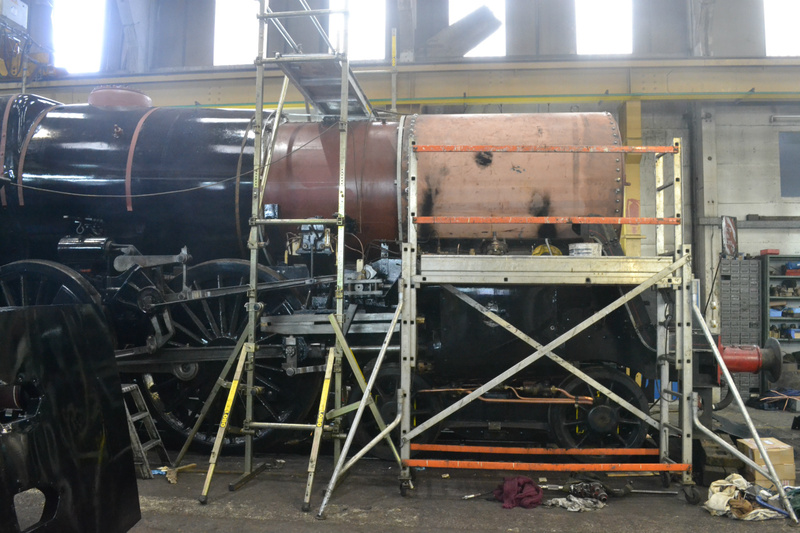 Side view, boiler in place with cladding, front section left off while riveting smokebox. 31 May 2015. P GIBBS.